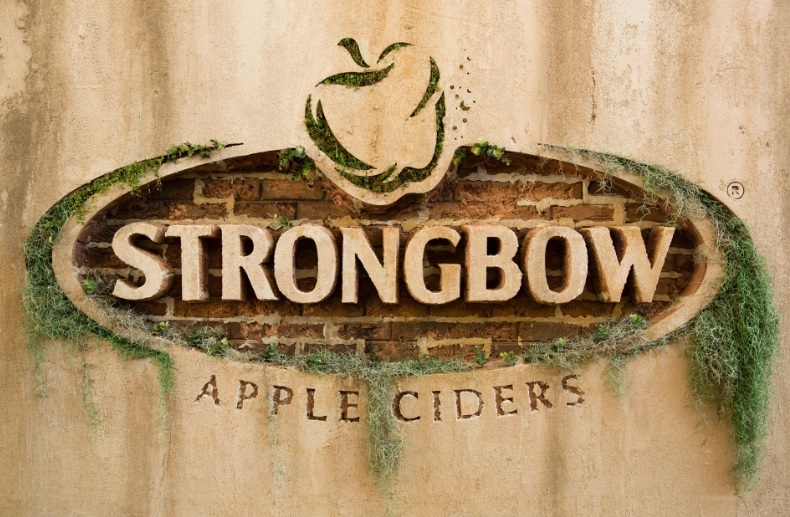 Strongbow releases a new global campaign which sees an orchard created within a disused building in Johannesburg. Strongbow has released a new global campaign called Nature Remix which includes a series of coordinated 'acts' in seven cities around the world. The campaign aims to reconnect city dwelling consumers with nature, making their everyday environment a more enjoyable place to live. Co-created with Cloudfactory, the campaign comprises experiential activity, as well as a new TV commercial [above], digital films and social media amplification. 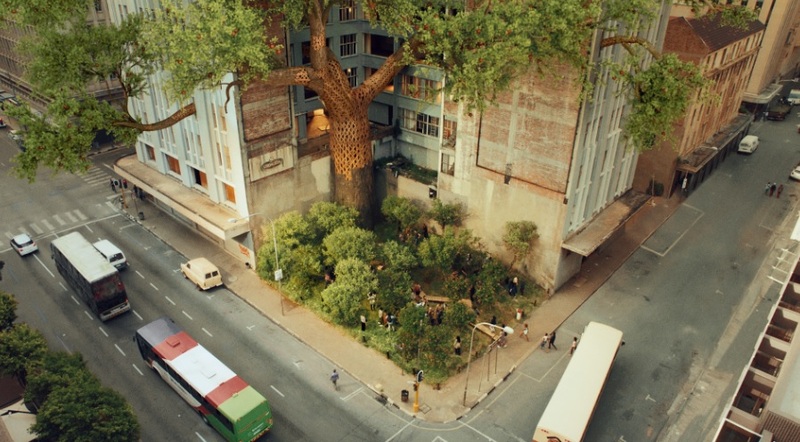 To launch the Nature Remix campaign Strongbow created an orchard in central Johannesburg. Local gardeners planted apple trees in a derelict urban space, and built a giant tree, the branches of which grow through the windows of an abandoned tower block. Filmed by Sonny director Fredrik Bond, the first act of the campaign forms the basis of the new TV commercial with further Nature Remix acts are planned for Toronto, Bucharest, Bratislava, Prague, Lisbon and Vietnam. Below, Jiri Rakosnik, global marketing manger, cider, Heineken; Sandrine Huijgen and Jessica Kersten, creative partners at Cloudfactory and Bond discuss the project and how it came together. What was the brief with which you approached Cloudfactory? Rakosnik: We needed Strongbow to get noticed in new markets where cider hardly exists. But instead of using the apples and orchard in the traditional way, our brief was to create a point of view that potential cider-drinkers around the world could get emotional about. 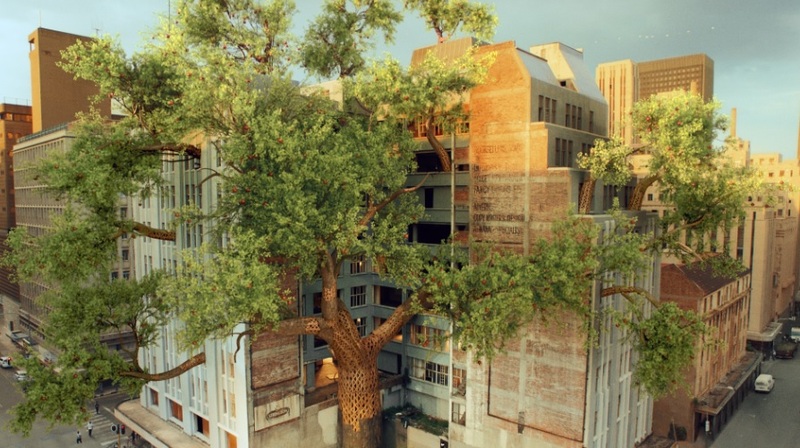 The huge tree built in Johannesburg. This is an unusual approach for Strongbow, or indeed most brands; why did it feel like the right thing to do? Rakosnik: Internally, within the Heineken brand and beer heritage, cider acts as a separate, almost start-up organisation, and thus allows for not following the traditional ways of marketing. We were lucky enough to find equally insane people from boutique agency Cloudfactory who helped us build the strategy and creative approach from scratch. What was the genesis for this particular campaign? Huijgen/Kersten: The Strongbow team approached us because they liked our collaborative approach and the work we produced for Stassen, a small craft cider that’s also part of the Heineken portfolio. We believe that brands should act more and talk less, and - call us flower power girls or hopelessly naive - we love the idea that brands can do good for the world. It is of course only interesting for a brand to do that if it builds its brand equity. So we came up with the idea of giving Strongbow a purpose. As the brand is a cider and has apples as main ingredient, it felt logical to that the brand purpose should be connected to nature. Nature gives a city and its people great energy! 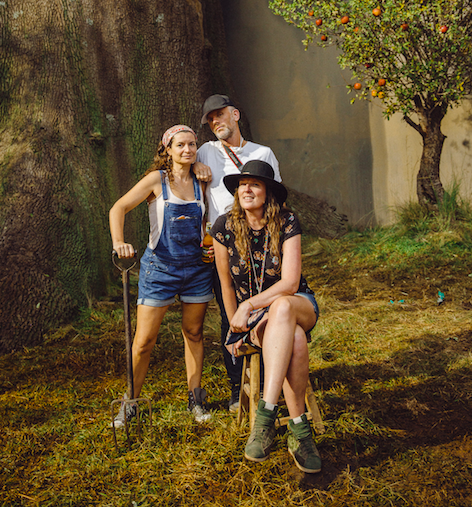 This is how we came up with the idea of Nature Remix: Strongbow will not just talk about its natural ingredients, but will plant apple trees and create artful urban orchards around the world. Artful is important because we did not just want to bring nature but also do it with an urban edge, something people in the city would get inspired by. And trigger them to think: nature is beautiful; invite them to bring nature back into their city too. In a nutshell we wanted to start a movement! The urban gardeners who helped create the orchard. What was it that appealed to you about this particular project when you were approached? Bond: I was floored and completely sold on the infectious energy and boundless support that Sandrine, Jessica and Jiri showed when they presented this incredibly cool idea about these gardeners attacking an urban environment with nature. Also worth mentioning... I’ve never heard of an agency taking their client with them [and] flying to me for a first meeting to pitch me the idea in person. That, to me, says how crazy-cool-committed these guys are. How long has the idea been in its planning phase and what was the hardest element to achieve? Huijgen/Kersten: The idea was born last summer, we worked very closely with Fredrik from October and did the act itself and the filming of it in March, so it has been quite a few months in the making. Just finding a location took two months on its own. There was nothing about this production that was standard so that made it very challenging for our producers! The before and after shot of the orchard. Why was Fredrik the right person to direct the film for the campaign? Huijgen/Kersten: Actually Fredrik was the only director we contacted for this project because we knew that he was the man for the job. He is brilliant at creating new worlds and at capturing the authenticity of an idea. He is also an idealist and immediately loved the idea. He never compromised on it, and brought so much of himself in the process. Frankly, we think he must have an urban orchard inside him as we have never met anyone with as much beautiful energy as he has. While ‘traditional’ advertising methods are still important, is it equally as important that brands now engage with its customers on different level? Rakosnik: It felt right because of what is happening currently in the world, the overtly positive sentiment and inner need of the younger generation to do something to make this world a better place. And if you want to be relevant as a brand, you should join a cause. Strongbow coming from an orchard to the city and doing our bit in leveraging the positive effect of nature on people in the cities simply felt like a right thing to do. Bond stands between Huijgen [left] and Kersten on set in Jo'burg. There must have been a lot of footage you could have used showcasing the build; was it a hard process working out what to shoot or choosing what to use in the finished film? Bond: Yes! I think at one point my fabulous editor, Patrick Ryan, asked me to stop shooting. We were living and experiencing the building process with our urban gardeners. It was a completely immersive experience and shot that way. So you can understand that it’s definitely a head-spin when you start editing something like this. But after a while, in the edit suite, you start getting the rhythm and sensibility and the material actually starts telling you what to use and not. It was quite a hypnotic process in a way. What was the most challenging part of the production? Bond: Without a doubt finding the right location that would let us do this and own the place for a significant amount of time. Secondly, the shoot was an interesting challenge since all of us got sick (I’ll spare you the details) and it was almost like this building did everything to not have us there. But with our fabulous, real urban gardeners and the incredible local crew, the building started to love us and we came out (if barely) alive. You’re planning similar spaces across the globe; do you think this will be an ongoing legacy project for Strongbow? Rakosnik: Nature Remix is here to stay - it will take some time before it truly lands across the globe with desired impact, but we truly believe in it. We also believe in helping to inspire and fuel people around the world to do their own bit to chip in. In the long term, Nature Remix will also drive our innovation agenda.